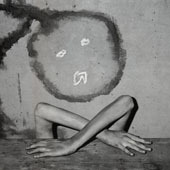 Roger Ballen was born in New York City in 1950. He has lived and worked in Johannesburg, South Africa for almost 30 years. During this period from 1982 to 2008 he has produced many series of works which has evolved from photo-journalism to a unique artistic vision. Ballen’s work has been shown in important institutions throughout the world and is represented in many Museum Collections such as Centre Georges Pompidou, Paris; Victoria and Albert Museum, London and Museum of Modern Art, New York City. The latest series of works from Boarding House (2009) which will be presented in the Photographer.ru Gallery are almost exclusively painterly and sculptural. The human and animal subjects have all but disappeared and function more like stage props or weird sculptures within the composition. Despite the range of subjects and approaches that Ballen has pursued, a sense of continuity is maintained by a number of visual ‘threads’ and graphic elements such as electric wires that can be traced from his latest work back to his earliest photographs in the small towns of South Africa.